This past weekend, Bungie released their open beta for Destiny 2 and, after finding an hour duirng my hectic weekend, I was finally able to see what this game has to offer. 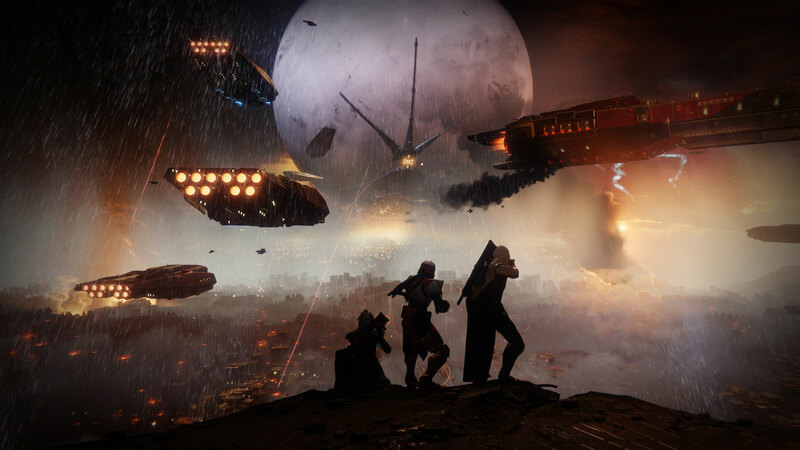 I have a lot of good memories when it comes to the first Destiny. I remeber playing the opening beta with my friends and getting really excited for what the actual game will have to offer. We spent hours running around a run down version of Russia while fighting a slew of random enemies and exploring our Guardians abilities. When the final game came out, we still had a lot of fun, but the magic was fading. We spent a few months playing Destiny relgiously every weekend and eventually got bored. There was no story that was compelling enough for me to get invested in and we spent most of our time just replaying the same missions over and over and over and over and over. It got repedative and we, along with many other gamers just stopped trying. Bungie recieved the critisim and attempted to right some wrongs. They created more and more content in order to draw in the fan base by adding additional missions, raids, weapons, and actual story content that gave this game a little more life. I was impressed with the new and improved content, but found that it just wasnt enough to keep me and my friends going. We blew through the additional story missions and once again stopped playing once it all became repedative. I am giving you this glimps into my experience with the first game to hopefully give you a better understanding and see where i am coming from when i tell you that i am pretty excited for Destiny 2. The demo was not long by any means. Me and my friends were able to see all the game has to offer within the span of a couple hours. The demo lets you play the opening mission of the game and it sets up who and what the main focus will be. One of the first things that i noticed when the demo started was the sense of ergency that I felt right at the start. Your home is buring around you and you are just trying to figure out who is to blame. As you make your way to your leadership, you encourter some familiar foes, but they obviously have had an upgrade. Most of the upgrades are cosmetic that give the game a little more polish; but some of the upgrades are also in the enemies best interest. Some of the enemies will have the ability to fly around and shoot at you from behind cover. Others now have more powerfull weapons at their disposal requiring you to make a more tactical approch in order to make it from point A to point B. 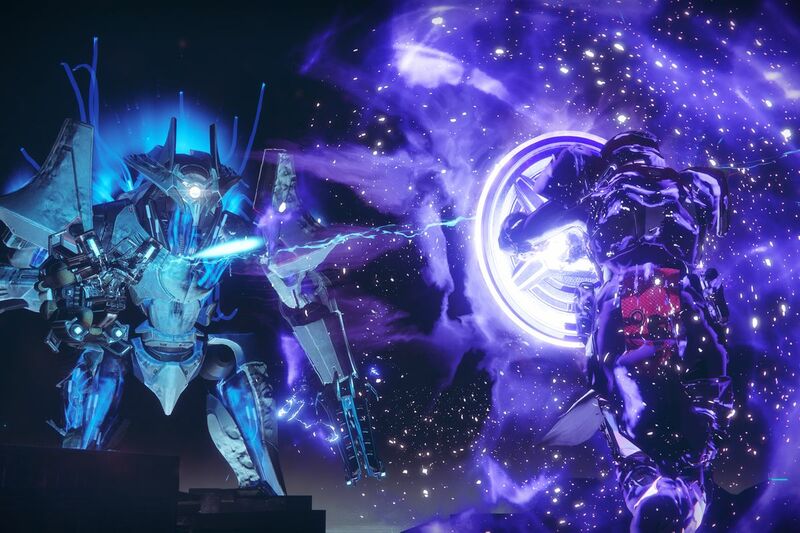 The opening mission was pretty long which game you plenty of opprotunities to try out all the new abilities that your Guardian has to offer. Every Guardian now has new super abilities which allow you to completely desimate the waves of enemies that you will face. My favorite was the Titan’s ability which gives you a “Captain America” like shield that you can use to either shield your teammates, or completely wreck your opponents. You can even throw it and create a ricocheting disk that kills almost all enemies with one hit. 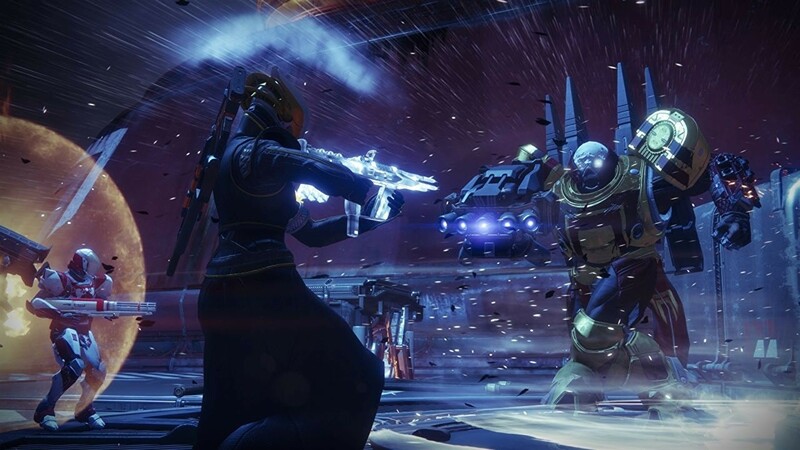 I noticed right away that Bungie wasnt going to change much of the core mechanics, rather they would focus on polishing and enhancing the graphical aesthetics in the world around you. Once I completed the story mission, I was able to create a Fire Team and start on the cooperative game play. Unfortunatley, the demo only allowed you to play one strike or compeditive multiplayer. I was never a fan of the PVP multiplayer and because I only had a couple of hours to play this game, i decided to try it out when the game was released. I was very impressed with how the strike played out. The mission didnt seem like it was over too quickly, rather it actually made the time i spent worth while. We traveled through differnt areas and fought waves of differnt enemies that tested our ability to think on the fly and adapt. It had been so long since either of us had picked up Destiny, so there was some what of a learning curve taking place. After we shook the rust off, we started falling back into our roles which made the game a little more fun. 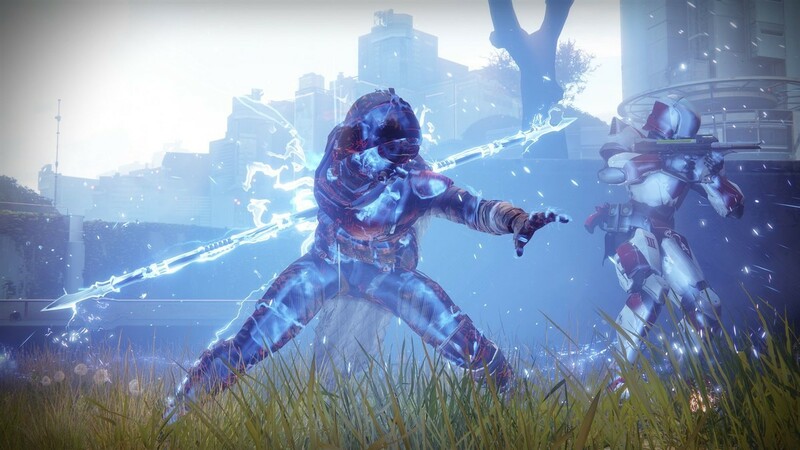 Much like the other strikes in the first Destiny, after fighting through the horde of enemies keeping you from your objective, you will come face to face with a much more powerful foe. It seemed as though the game developers created this boss in order to make you fail. Just when we thought we had a handle on the situation, the boss would use some new abilities that none of us were ready for. The stage would actually change as whenever we brought its health down to a certain point and more enemies would appear. Every time the stage would change, we would have to use a system of trail and error in order to find out what we can and cant do. This led to a few frustrating moments as we collectivly figure something out, only to die and have to start all over. This was frustrating in he beginning, but makes it much more fufilling when you finally beat it. Making you change up tactics and having an enemy that learns throughout the battle makes it more exciting. Its better than finding a glitch or hole in the wall that the boss cant shoot you in. This demo left me with a warm and fuzzy and gave me reason to buy this game. I really enjoyed the new abilities that the different Guardians can now use and i look forward to experiencing the rest of the story.